IRS Commissioner John Koskinentestified before the House Oversight and Government Reform on March 26, 2014. Koskinen told Rep. Jason Chaffetz (R-UT) during the hearing that Lois Lerner’s emails were archived and it would take a long time to retrieve them. In April the Inspector General notified the Senate Finance Committee that they have recovered thousands of Lois Lerner emails. The Obama IRS erased 422 computer backup tapes related to the Tea Party scandal. The IRS erased the tapes after the agency came under investigation in the massive criminal investigation. Investigators are blaming mistakes by IRS employees — not a criminal conspiracy — for the loss of thousands of emails related to the tax agency’s tea party scandal. 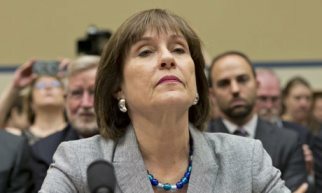 IRS workers erased 422 computer backup tapes that “most likely” contained as many as 24,000 emails to and from former IRS official Lois Lerner, who has emerged as a central figure in congressional investigations, according to IRS’s inspector general.